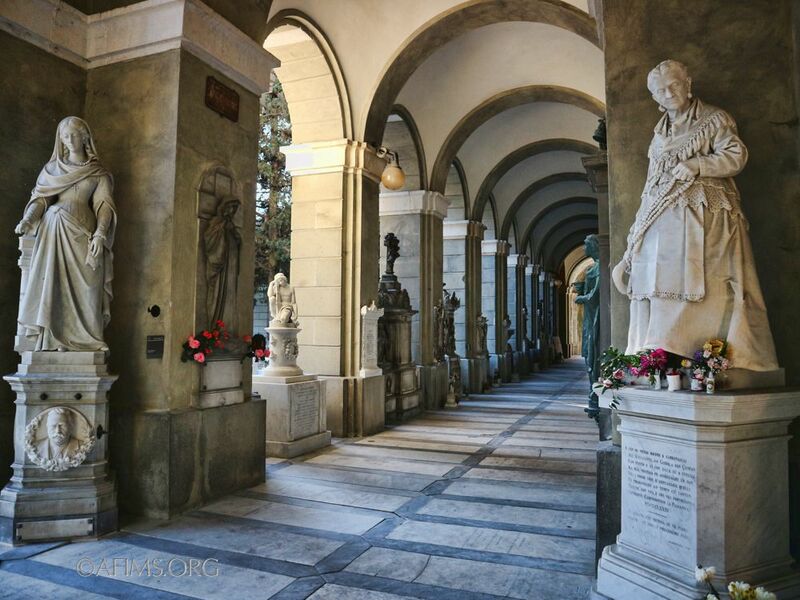 The Monumental Cemetery of Staglieno in Genoa, Italy is one of the world's great sculpture collections, but these masterpieces are at risk. Will you help save them, so they can continue to enrich and inspire future generations? To date we have restored 12 sculptures, with two more underway and one planned for January 2018. However, there is much more to do; please give whatever you can to save more wonderful artworks in the coming year. Any amount will help! We are a U.S. based non-profit organization working with the city of Genoa and the provincial office of Belle Arte (fine arts) to help preserve these irreplaceable artworks. AFIMS is a 501(c)3 non-profit organization, and all donations are tax deductible under U.S. tax law. 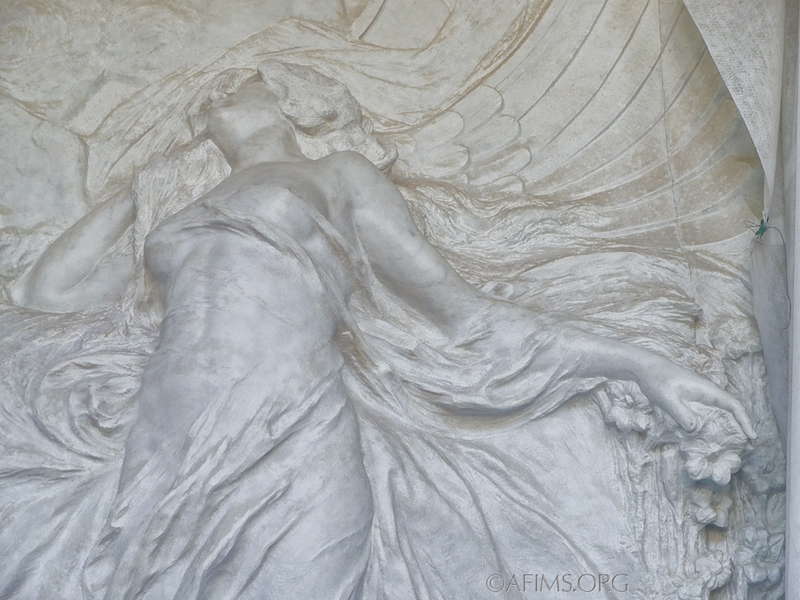 American Friends of Italian Monumental Sculpture (AFIMS) is a United States based not-for-profit 501 (c) (3) tax-exempt organization, and all donations to AFIMS are fully deductible to the full extent of United States law. We all understand giving to support medical care, feeding the hungry, and providing emergency disaster relief. We understand donating to local cultural activities, to enhance the quality of life in our own communities. But, why donate to restore statues in an obscure cemetery on the outskirts of a distant city? Our oldest records of civilization come to us through stone carving. This art has been with us throughout history. At Staglieno we have the greatest collection of mid 19th to mid 20th century Italian marble carvings, a high point in technical skill, artistry and story telling. They are at a critical point, deteriorating before our very eyes. This is a unique opportunity to save these irreplaceable cultural treasures for future generations. Won't you join us? Any size donation helps. In addition, naming opportunities are available for full sponsorship of individual works of art. Contact us for more information. We have recently completed restoration of the Caterina Campodonico sculpture, a masterpiece of Bourgeois Realism, a little known period of art in the late 19th century, and along with three works from 1880 to 1881 by by the sculptor Domenico Carli, who combined classicism with realism in his dramatic works. You can help us continue to save this incredible artistic legacy.